Yesterday I went to Nagoya for a day trip to meet my former Japaense professor from my American University. 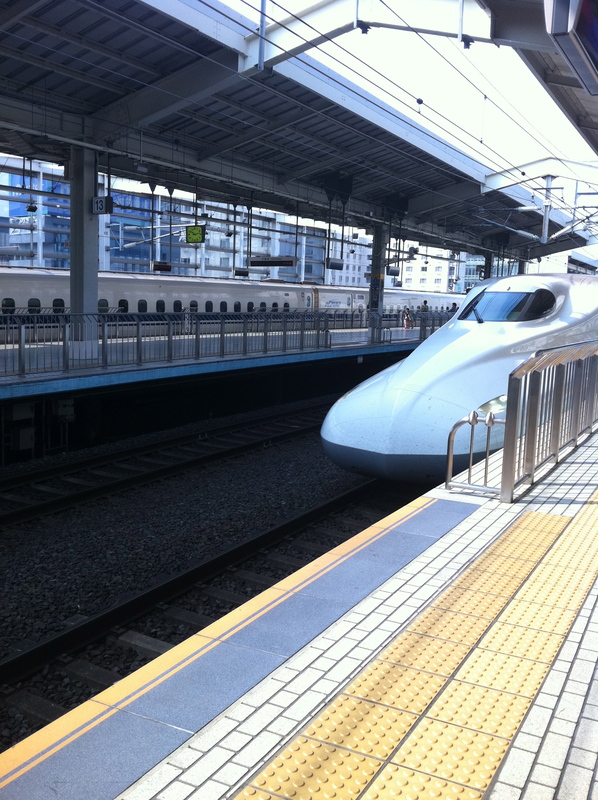 I rode the Shinkansen (bullet train) to Nagoya, which was about a 35 minute ride from Kyoto Station. After this, I met my former Japanese Professor and we went to a part of Nagoya that was known for shopping! We went to a mall and had lunch at a really nice resturant inside. 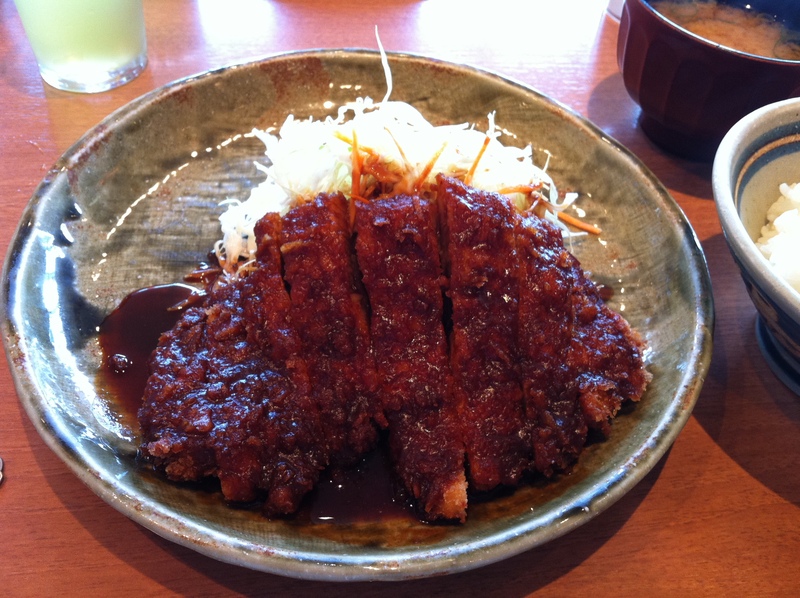 We ate Nagoya’s famous Miso Katsu; a Pork Cutlet that has a special miso sauce on top of it. It was so good! It came with rice and miso soup on the side, as well as iced green tea! It was an amazing lunch! 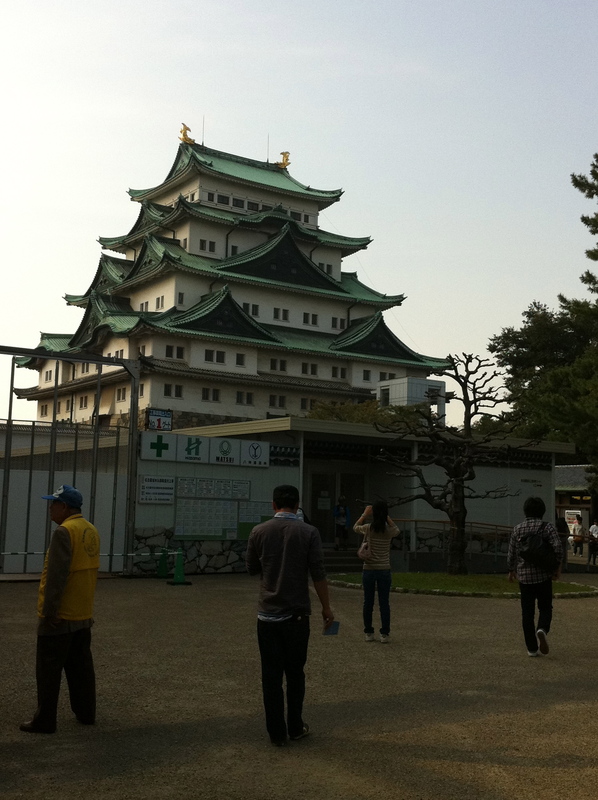 Next, we went to Nagoya Castle and looked inside! It was like a museum inside with lots of information about the castle and its history. As you can see, it was huge! Even bigger than Osaka Castle. 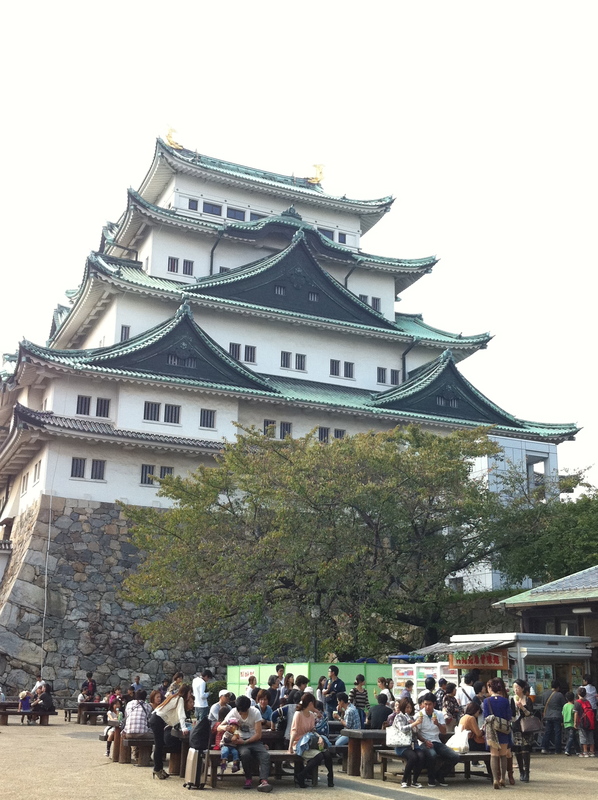 Did you know that Nagoya castle was the only castle in Japan that was not destroyed in the Meji Restoration? It was supposed to be a national treasure, but was bombed in World War II air raids. In fact, many temples, castles, and other old landmarks in Japan are just rebuilt replicas of the real thing because of WWII air raids. So after this, we went shopping and then stopped at a really nice cafe for some cake! 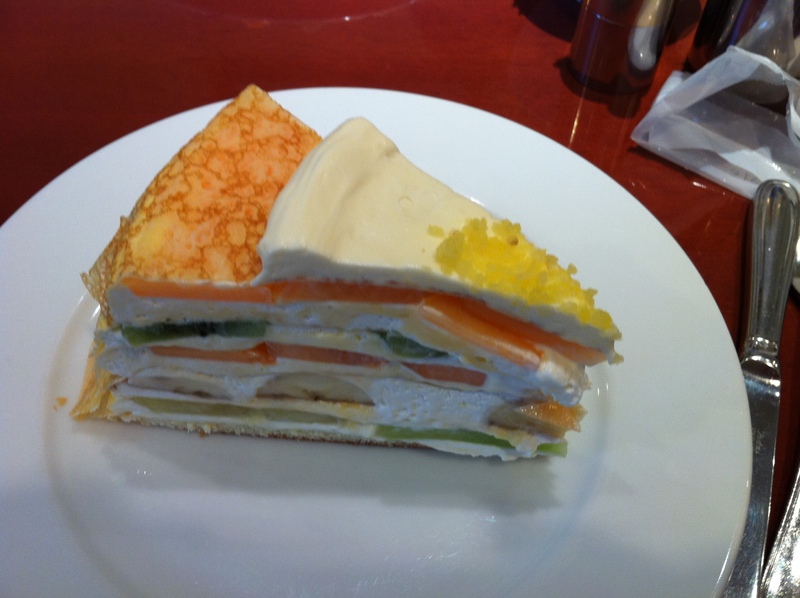 Both me and my professor got the same cake: A crepe layered cake with cantaloup, honey dew, kiwi, and bananas in it! It was so good! After we talked there for a while, I was on my way back to Kansai Gaidai. It was an experience that was amazing and that I will never forget! 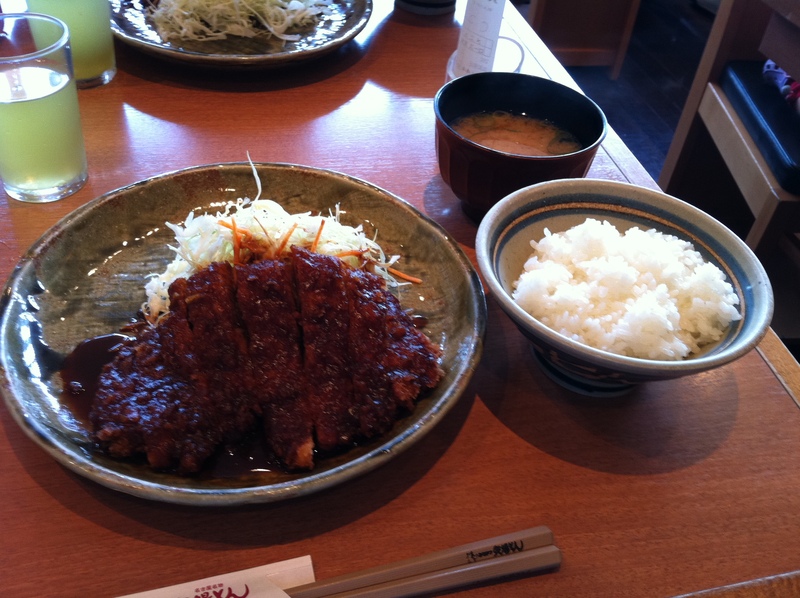 I suggest you visit Nagoya if you come to Japan!